The Certification Chair is committed to aiding the State Council in achieving its mission to advance and serve the Human Resource profession by promoting the certification of its professionals. 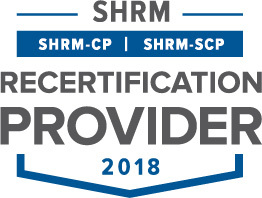 For more information about certification, visit the HRCI web site at: www.hrci.org. Local classes to prepare for the exams are available. For more information, go to http://deshrm.org/tools_resources.cfm#PHR. Learn more about the HR body of knowledge. This presentation may be helpful to HR Certification Institute Program Directors and potential speakers when applying for general or strategic credits.